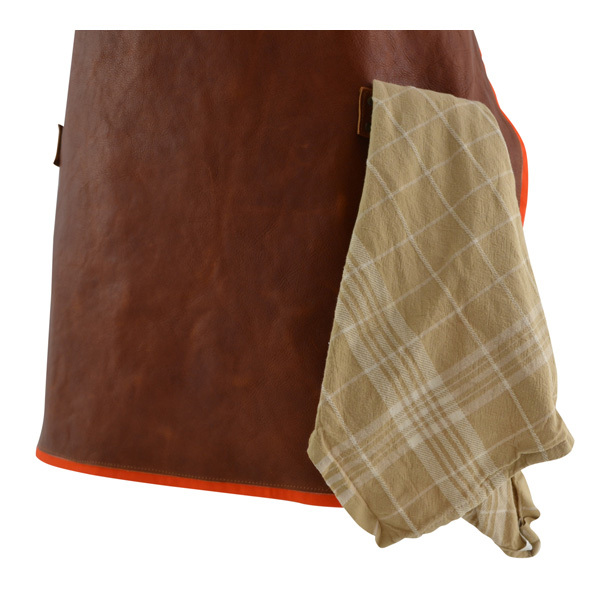 This apron is designed for real men doing some real cooking. 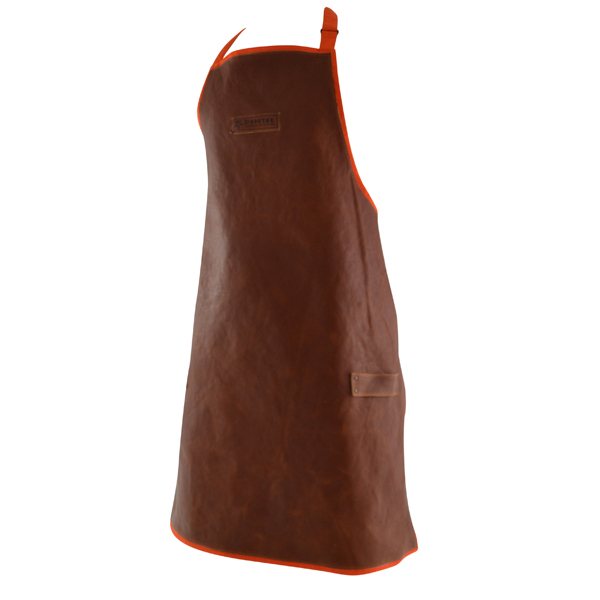 A leather apron not only prevents your clothes from staining, it also withstands the heat of your stove. 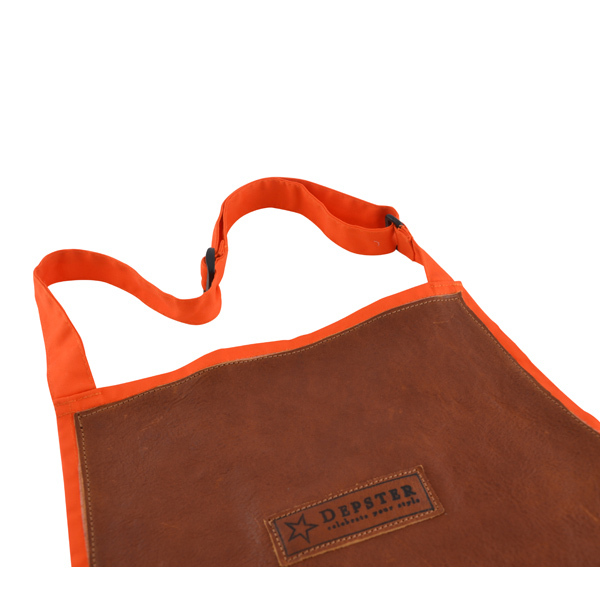 The neck and back straps and inside of the apron are made out of fabric to prevent the back side of the leather used from wearing on your clothes and to make it move smoothly. 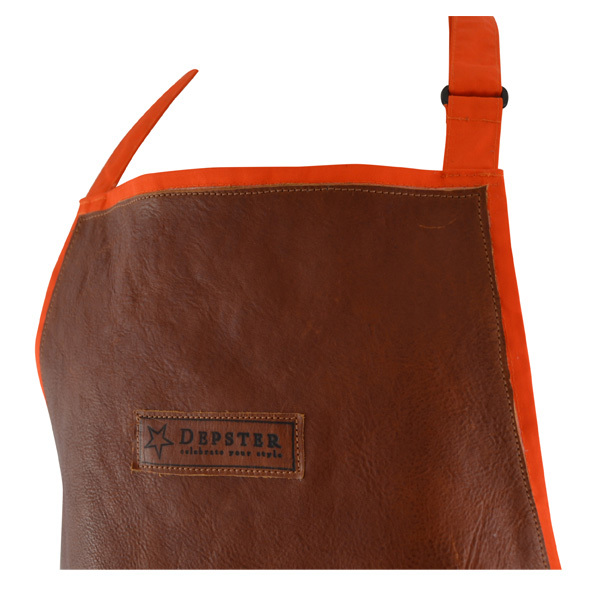 The straps on the front of the apron can hold a tea towel. 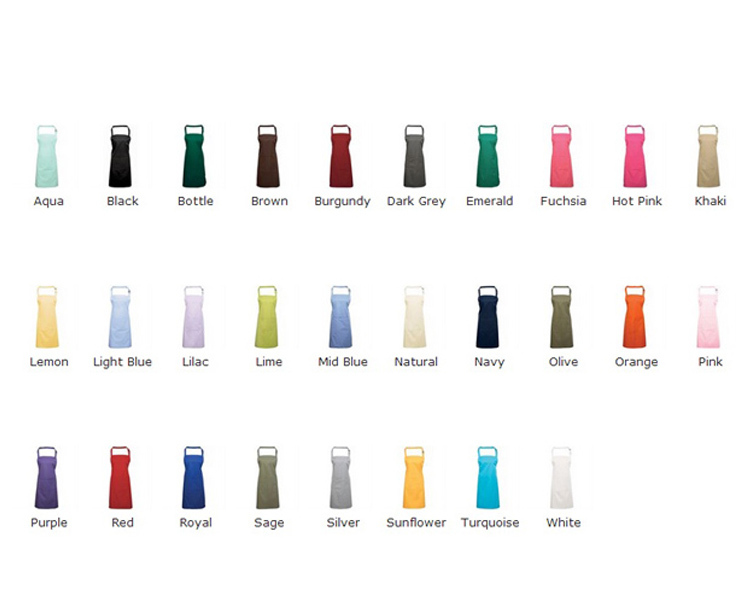 Chose your favorite or kitchen color fabric, and we will make your customized apron for you. One size fits all – 86x72cm.